At the dawn of California’s cannabis culture, the best hash still had to cross an ocean to get here and the dankest herb came tied to a stick. The basic fundaments of cannabis culture, never mind the finer points of effective cultivation, were spread predominantly by word of mouth. Cannabis publishing pioneers like Ed Rosenthal and Tom Forcade started making vital information available on a broader scale and the advent of the internet only accelerated this sharing of knowledge. Now of course, the aspiring cultivator or hash maker has no shortage of resources available to them and California has seen more than one cultural and technological renaissance in cannabis. But the broad embrace of critical extracts and the ascendance of “dab culture” represent a seismic shift in the cannabis landscape. And as with the birth of any subculture, a new set of words and ideas have popped up that may leave the uninitiated puzzled. So for your edification, here’s a rundown of some potentially unfamiliar terms you’re bound to encounter when exploring the world of critical extracts. This is just ”OIL” spelled upside down using Arabic numerals, but it’s a core symbol of the movement in the same way 420 is symbolic of traditional cannabis culture. Oil, sometimes stylized as “errl,” is often used as a sort of catch-all term for critical extracts, although this is becoming less common as enthusiasts become more fluent with the different categories of concentrate. If you see 710 used in the name of products and events, that means they’re geared towards dab and extract aficionados. The same critical extraction process as BHO, but liquefied CO2 is used in place of liquid solvents like butane and propane, resulting in an end product totally free of residual solvents (see residual solvents). Most “vape pens” that utilize pre-filled cartridges use CO2 extract. Historically the product has been harsher and less flavorful than solvent-based methods, leading to re-flavoring and the addition of artificial terpenes, but advancements in technique mean some newer products are on par with BHO in terms of flavor. This is a low-tech extraction method that doesn’t utilize a closed loop system (see closed loop extraction) and prioritizes speed over safety. Trim or flowers are stuffed into a glass or metal tube and liquid solvent is run through the tube. What comes out the other end is a highly volatile blend of evaporating solvent and the desired cannabinoids. When this process is done indoors and/or by careless people who don’t know what they’re doing, the result can be a deadly explosion. When done properly, the risk is minimal but still present. This is an acronym for butane hash oil, which is sometimes used as an imprecise general term for any solvent-based extract. BHO only refers to the solvent used in the extraction process and the end product can take a variety of physical forms depending on how it’s processed and purged. This is the preferred method for extracting critical extract. The blasting process is still at play (confined space + weed + solvent) but it is a closed system using a series of tubes, columns and chambers to contain the entire extraction process. The benefits are greater control over your solvent and next to no risk of explosion if used correctly. The purge process is absolutely crucial to safe product. It generally utilizes heat and agitation (or vacuum treatment) to remove the solvents used for extraction. The method used will also determine if the end product is a shatter or a wax concentrate. 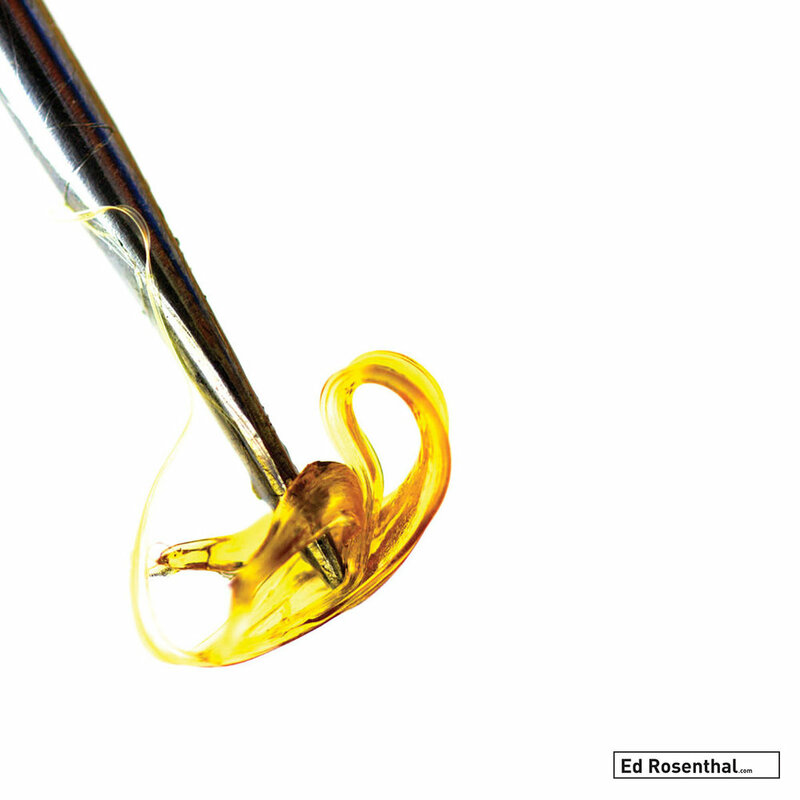 This process, when done properly, is what makes solvent-based extracts safe for consumption. Butane, propane and other solvents typically used in critical extraction are considered safe for human consumption in small doses and make regular appearances in packaged and processed foods. The purge process reduces the level of solvents in the final product to safe levels, but there will always be some sol-vent left in the final product, which is why some users prefer CO2, rosin and other solvent-free methods. Lab testing can ensure that the solvents still left after the purge (residuals) are below safety thresholds.